Backpacker Economics: Saving Tips For Your Big Trip…. You’ve booked your flights, you’ve bought your journal and you’ve started writing your bucket list for your travelling adventure. It’s then that that’s it hits you, ‘THIS IS REAL AND I NEED TO SAVE SOME MONEY’. 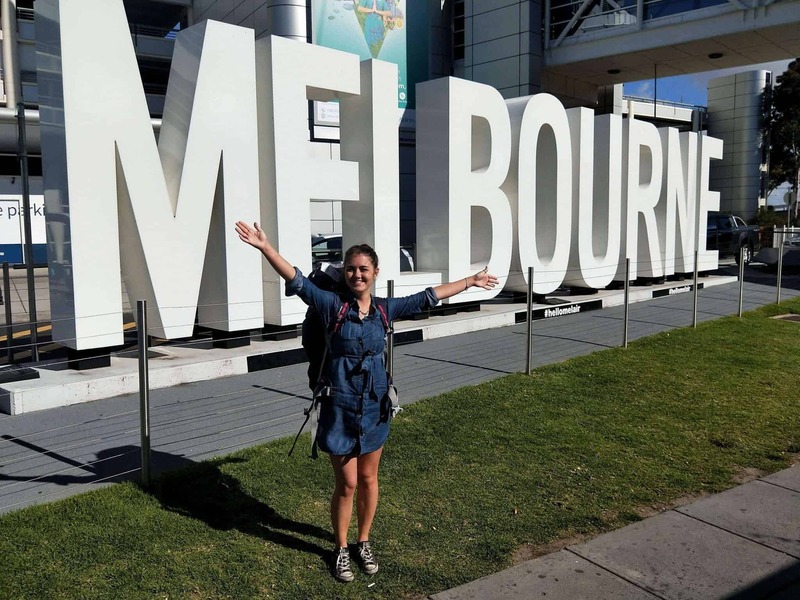 Sure you can grab the odd lift and get lucky on a mega-cheap flight, but there’s nothing worse than having to skimp on everything on your travels and something we all need before we set off on the road is a chunk of moolah. Yes it is nerdy but if you’ve planned some travelling, chances are you know roughly what you get paid each week (tell me you have a job?!) and you can do some estimations. Work out what you need for rent, bills, food and leave a bit for a weekly treat (someone’s birthday meal out etc) and SAVE the rest. The best way to do this is have it automatically come out and in to a different account that you don’t touch! Sure life may seem quiet for a bit but remember you’ll be having the last laugh when you’re drinking from a coconut and uploading your #nofilter beach shots. Added tip: Inspire yourself with photos of your destinations all over the place. It could be your wall, screensaver, bedside cabinet or phone background, inspire yourself to save! I’m not saying you need to plan everything you for the entire week but the better you get at planning your meals, the more you’ll save. You can still eat well, just make sure you’re the one cooking it, not the local restaurant. My tip would be to plan your lunches and dinners for the week and do a Sunday shop for all of it. Get Monday/Tues/Weds lunches made Sunday night and cook your dinner each night. To be even smarter (and if you’re disciplined to not eat it all straight off!) make a big dinner and take left overs for lunch each day, cheaper again! Added Tip: If you’re a snacker then buy a bag of nuts and portion them out so you have one each day, or even each morning and afternoon, whatever you need to fill you up and stop you going to the vending machine or corner shop! If you’re purely saving and trying to cut back on the social spends, then why not fill 2/3 nights with another job? I’m not saying work every waking hour but if you can pick up a shift 3 nights a week and you weren’t doing anything anyway, then why wouldn’t you?! 15 hours a week could be another $300 per week, that soon adds up! Added Tip: Go in and see your local bars, cafes and restaurants and ask if they need anyone. Don’t e-mail your CV because by the time they get to it, they’ve given the job to the person that walked in! Also, retail stores often need evening high season staff. Do you have a passion for something you’d perhaps like to do one day? Do you have a talent that you’re not making the most of? Are you a keen blogger, video editer or maybe audio engineer? If yes, then 2017 is your year as there’s several websites that are basically an open skillset sharing forum. Someone needs 5 videos editing by next week, you love editing but are not a pro so can offer a knock down price. Drop them a message, get on it and spend the profits on a month Pad Thai. Added Tip:Work for a lower rate first, build up your profile and then you can charge more for your time! Ok so this may seem desperate but what have you got to lose? Do you have a load of things you look at every day and wonder why it’s still hanging around in your room? We all have clothes that would suit anyone but us, or that we bought and now regret? You’re looking at those green chinos now aren’t you? If so, then let’s get rid of them. If you’re not wearing them then any money is good money! Get them on e-bay, Gumtree or even Amazon depending what it is, you’ve got nothing to lose! Added Tip: Why not do a good ol’ fashioned car boot sale? I heard that, yes, they absolutely are such a thing! Take all your stuff, give it a go and then anything you don’t get rid of you can then get on eBay, Gumtree and Amazon! Ok so this can be a tough one and I totally get it. And lets not be silly I know you need your contact lens prescription and we’ll let you have electricity, water and gas, but what don’t you NEED? What would you rather do, skydive on your travels or have the luxury of being able to press skip on your Spotify? If you answered the second one then I can only hope you’re scared of heights, as it’s the only logical explanation! Seriously, we love Spotify, Stan, Netflix and various other luxuries of hibernating but do we NEED it for the next few months? Na, no we don’t. Added Tip: If you have cable TV or an oversized phone or home internet package then even look at scaling that back too. Definitely look at cutting it altogether (if you’re not in a contract) for when you’re away, you don’t need that extra outgoings when you’re gone! I can sense the genuine fear at the mere thought of working without coffee. Will you be able to make it to 11am? Will you murder a colleague? Will your body shut down at 2pm never to restart again? I’m going to say all of those will feel close for the first week but after that you’ll be a convert (or in jail) and once you are you’ll be delighted you made the change. Added Tip: Of course you don’t have to work without caffeine! Take a Keep cup of home coffee or take advantage of the tea and coffee supply at work! 6 months, it soon adds up. Added Tip: Don’t get a jar but get a tin you need to open with a tin opener. Why you ask? So you can’t get in to it every time you need some change! Have you always lived for the weekend? Are you the guy that gets the shots in? Or the one that’ still drinking when everyone else just wants to get a kebab? It’s time to think that one more gin and tonic in your hometown could be four drinks wherever you’re going, or even half a drink depending where you’re going. Either way you’re going to need every last dollar you have and clever pre-drinking or going out on special/student nights only will become your new thing, or even better? Maybe lay off the binge for a good few weeks? Added Tip: This is made easier if your second job means you work Friday or Saturday evenings. Be on the side of the bar earning the money, not spending it. How f$*#in cool does that sound? You can go travelling with $10,870 by just being a bit smarter every week for half a year, and that’s all extra savings as that’s before the absolute number one saving tip of the weekly savings target. Which of course is totally dependent on your income, but even if you could save $200 a week there then you’re talking an extra $5200 which takes you over the $16,000 mark.